Those are some cheap things. But I plan to DIY a V3N. I’m wanting my first Spyderco pretty badly, can’t decide on the Manix 2 or Paramilitary 2. I like the DLC either way. Seem to favor the blade shape on the Manix 2 but the lock on the Para 2. I can’t presume to know what your needs and likes in a knife are, but I’ve looked and held manix 2s, but could never commit. Personally, I find it way over built and heavy. This is just my personal opinion. Right now I’m looking very closely at the Spyderco Domino. The blade is the same “leaf shaped” and only a little shorter than the manix2, and comes with a titanium framelock. It comes with a flipper that operates flawlessly without having to apply pressure in just the right amount at just the right spot. Look at the new version with the blue weave carbon fiber grip as compared to the less attractive CF/G10 laminate composite. I totally forgot about the domino. Just after they came out I had one for a little bit. Actually I used it as a partial trade on my Sebenza (I guess why I forgot about it so fast). Yes definitely a nice knife. I might of liked it more (and possible not traded it) had I not had a Sage3 at the same time. Love the “bill Cosby sweater” CF weave. I need to either get another domino or get a new Sage 3. Really like the Domino, not sure about the blade steel. Like the flipper, haven’t had one before. 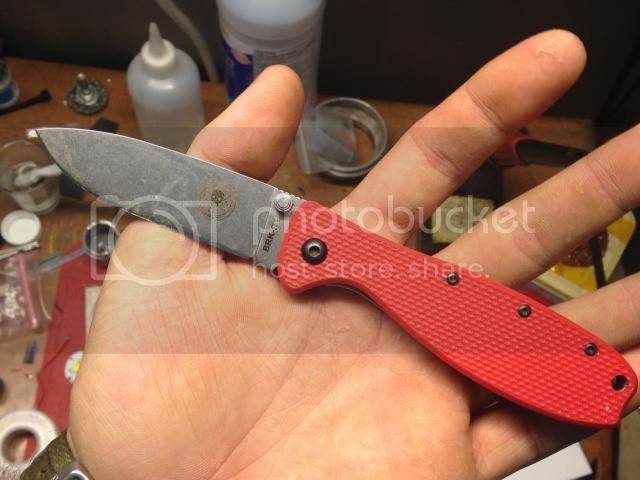 Was looking to get my first S30V in the Spyderco. I’ve been using ATS-34 from Benchmade and Buck/Strider and like it pretty well. Wanted to “step up” a notch. From what I can tell, the Carpenter blade steel probably falls between 154 and S30V, would that be about right? Kind of a stainless D2? The Sage Ti Frame lock with full Ti scales looks pretty nice as well. Decisions decisions. I would rank the XHP better than S30V but I’ve never been impressed with S30V (I would also rank D2 above S30V. Yes I would say XHP being called a “stainless D2” is accurate, I would however put both well above S30V. ESEE Zancudo, the red one is some dealer exclusive, maybe knifeworks. Got this last Xmas (when they first came out) from my kids. Only work on it was to drill/tap it for a standard hole pattern deep carry clip. 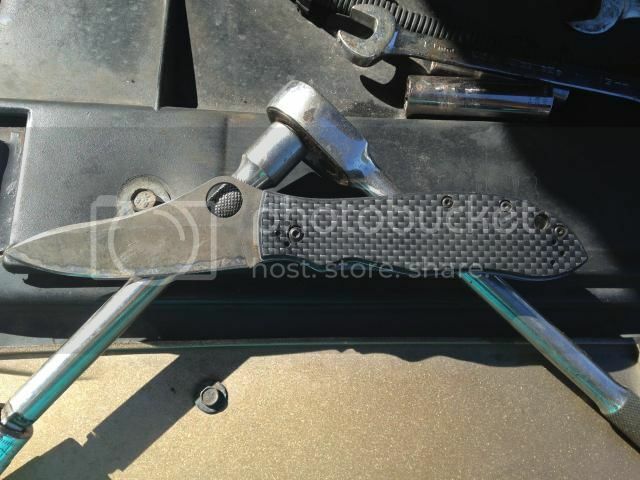 Dale, how come your Sibert has a different pocket clip than mine? I think yours is the very first format of the 755 MPR. They changed the pocket clip to the titanium one like on mine. They also lengthened the “juice gutter”. Anyway, no matter what version, the 755 is discontinued. That’s news to me. The 755’s are discontinued?? That seems odd as popular as they are..
It’s BM, I love them but they seem to do the exact opposite of what the market suggests. 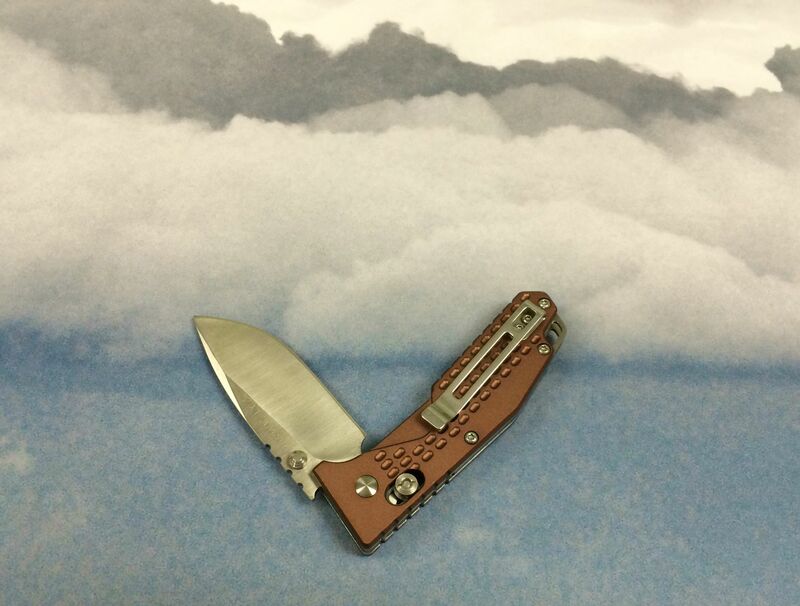 The Buck Mini Strider with it’s ATS-34 Bos heat treated blade at .17” thick and 3” long. Tough little heavy duty knife. G10 scales and Ti liners in a liner lock configuration. Been abusing this one for over a decade. This is normally EDC as it has been since I got it around 13 years ago. When shooting a job I carry the Mini AFCK in slacks. When traveling I carry the full sized AFCK. Both AFCK’s in ATS-34. And occasionally the Nimravus Cub, with a D2 black coated blade. 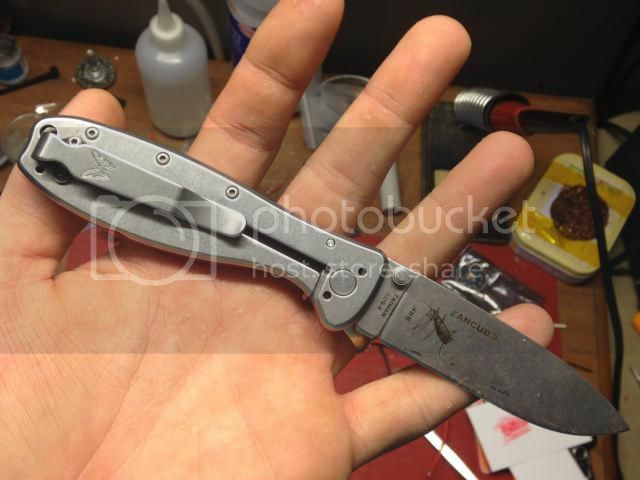 Gayle Bradley M4 blade with CF scales or Sage 2 Titanium mono-lock with S30V? That Ti Sage 2 is looking pretty dang awesome! This Rough Rider is getting a lot of pocket time recently, non threatening and enough for most of the things I do that require a knife. Dude, not even comparable, M4 all the way! 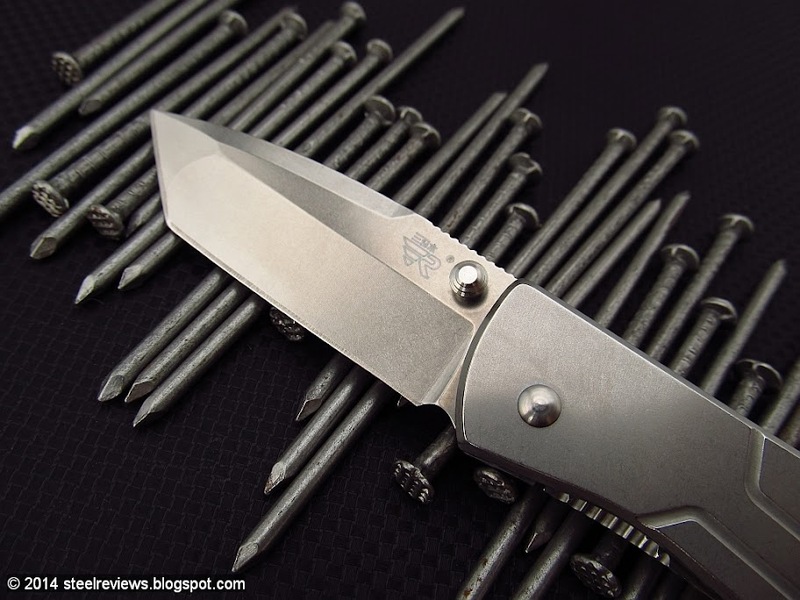 Bob Lum Chinese Folder With foliage green Almite coated aluminum scales and black BodyCoat blade. That’s a very handsome looking knife. I’ve just been looking at your Steel Reviews blog (again) I’ve had to shift the Y-Start with stonewash,G10 bolsters and red/white Micarta scales to my “Must Have” list. Your modded clip looks great as well. I’ve not got around to the 7071’s yet but I’m due a gift cert from FastTech I believe., that might make the price of the 7071 attractive. One of these has spent a bit of pocket time recently, small but useful. The value/price ratio of those Y-start folders is pretty good. The brownish-white micarta handle gives them a kind of aged look which makes them more interesting in real life. I think I’m going to edc one of them at the weekend. The SRM 7071 with the all steel handle looks quite attractive I wish SRM could release a slightly bigger version too. Your SRM 4107 would be awesome with a 3” locking blade for me. I’ve blown my budget for now but the Y-Start’s are definitely on my want list. 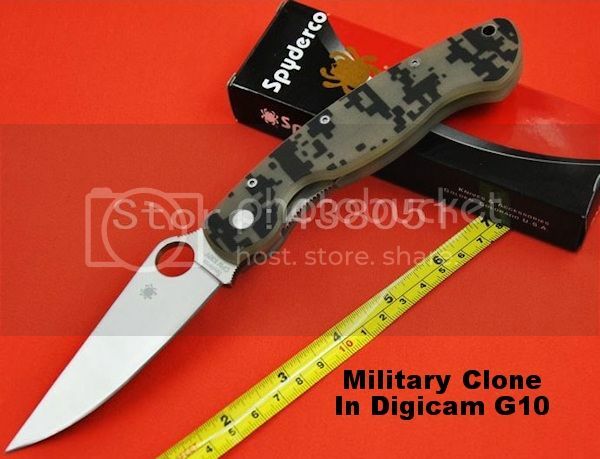 I just had another Military clone delivered today, for a little over $17 it is excellent, the G10 is two tone digicam, just black on a light coloured scale, not to every-ones taste maybe but I like it more than the green ones. Earlier in the week I got a Paramilitary 2 clone, blue G10. That cost $5 more but it’s worth it. Usual place. 8steve88 are these clones any good? I picked up a Salt clone and it is horrendously bad. How long are the blades? I've never been able to figure out exactly what to call this knife. Too big for a gentlemans folder, and too small to call tactical. It's super light weight and elegant in its own way. It does look gentlemanly though. Maybe a gentlemans squirrell skinner? Don’t have my phone on me so this picture will do. I have two Military, one Paramilitary, one Brous Reloader, one Medford Praetorian, all between $15 to $25. They represent good value and are a change to the normal Enlan, SanRenMu etc. I’d put the quality as near SanRenMu and better than or equal to Enlan. They all lock-up with no blade play in any direction. They came in white boxes, apart from the Spyderco’s – the Military’s had poorly printed boxes but the Paramilitary even had the sticker with the model number and date code/barcode, also included was a printed Edge-U-Cation sheet. The Paramilitary has a 9Cr18MoV blade, the others 8Cr13MoV. 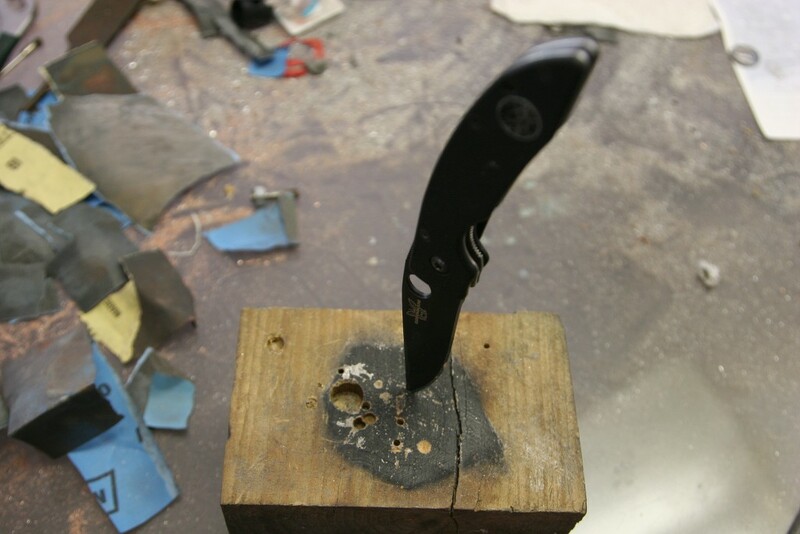 The Spyderco’s were etched with CPM S30V on the blades, this was the wrong type of steel to the original, the Paramilitary with blue G10 should have M390 steel and the Military with brown G10 should have CTS XHP steel. I won’t be hard using these knives and have no intention of selling them. For the price they are excellent. I purposely bought the cheapest that I could find that offered what I wanted in terms of the looks, although I have no intention of hard use they look well capable of taking abuse, no corners cut on construction, proper nested liners, the Paramilitary has phosphor bronze washers. The blade length on the two Military’s is 100mm, cutting edge 90mm. The Paramilitary blade length 90mm, cutting edge 80mm and the compression locks up fine with no play in any direction. they are reasonably well ground and the Paramilitary was as sharp as a very sharp razor. I’ve been impressed enough to keep buying them. It might be that I’ve been lucky but every clone that I’ve bought has been well worth the outlay. I know all the arguments for and against buying these clones but as I’m more likely to buy a genuine Military now that I’ve tried a copy then they’ve served a purpose, the Brous and Medford I’ll never be able to afford so the “causing loss of sales” doesn’t really apply to me. Can anyone here recommend a Southard clone? I’d like to get something with decent fit and finish, especially in the pivot mechanism. Today I’m carrying a San Ren Mu 7063. I received it about a week ago and the pivot is finally loosening up enough to flick open nicely.